As reported by Adam Schefter of ESPN, the Seattle Seahawks have traded edge defender Cassius Marsh to the New England Patriots for a fifth and seventh-round pick in 2018. 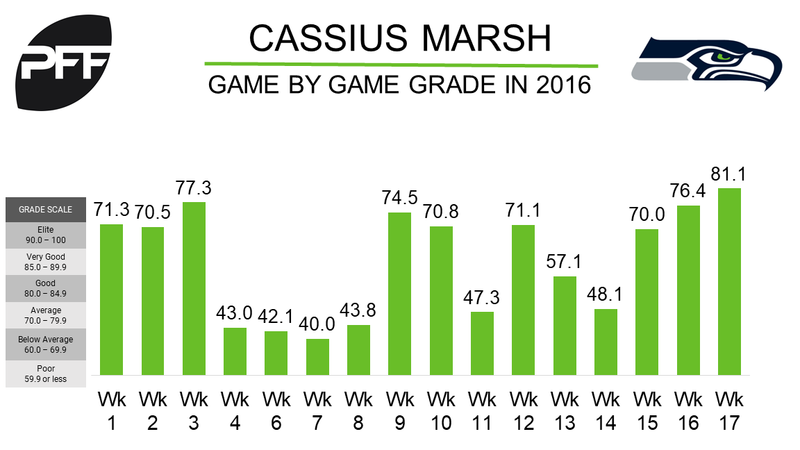 Marsh played a career high 36.2 percent of snaps in 2016, recording nine defensive stops in his 436 snaps. The fourth-year defensive end recorded a pass-rush productivity, measures pressure on per snap basis with weighting towards sacks, of 8.5 with a career high 28 total pressures.